While there are many ID card printer brands available on the market, one has to choose carefully to ensure that they obtain the right one. Smart ID card printers provided by companies such as Card Technology Services offer the absolute best in terms product quality and value for money. At Card Technology Services, we aim to provide you with top quality services and products, at affordable prices. As a leading plastic card printing provider in South Africa, we have built up a steady reputation over the years, and we are continually finding new way to improve the services we offer. Our customers are the most important thing to us. A lot of companies simply think about the next best way to make some easy money, and don’t care too much about whether their clients and customers are satisfied. Their prices are likely to be either incredibly low in order to draw people’s attention, or incredibly high to try and convince people that they offer high quality products. Then there is generally a lot of let-down. These companies might have a long stream of customers, but you are likely to find that there are not many returning customers. We pride ourselves in the relationships we build with each and every customer we work with. We provide information that is both accurate and up to date; to best help our customers make the right decisions for their requirements. We will not lead you in believing that the most expensive is necessarily the best for you, we will suggest the products that we believe will work for both your requirements and your budget. We only order from manufacturers that have a good reputation for quality, and that are good value for money. Our current list of manufacturers consists of SMART (IDP-Corp), Datacard, Evolis, Fargo, and Zebra. When you are setting out to purchase a plastic card printer, there are a few things to consider. You can go out and buy the first plastic card printer you find, as long as it fits your requirements and offers good value for money. However, it is always wise to shop around and see what else is available to you. At Card Technology Services, we will talk you through the different types of plastic card printers we offer. We will ensure that you understand the benefits and the downfalls of each of the plastic card printers, as well as the difference in prices. Each and every new customer we work with, and each and every potential customer that gets in contact with us, will receive the best quality of care that we can possibly offer. We will take the time to get to know you as a person, as well as the full extent of your requirements. If you don’t know exactly what you are looking for, we can help by make suggestions to suit your requirements. 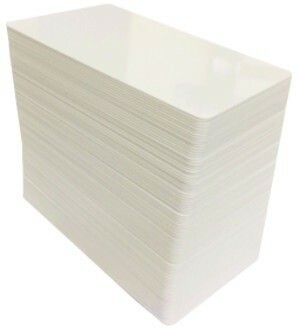 At Card Technology Services, we are experts in plastic card printing and plastic card printers. By talking with us about what you are looking for, we will be able to advise you on the best options and add-on that will work best for both you and your company. We regularly have new offers up for our clients. 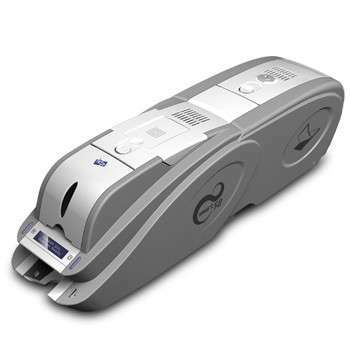 We stocks both new and used plastic card printers. Used printers come with a 3 month guarantee to give you complete peace of mind. We know that budgets can be stretched thin in a business, especially if you are just starting up, and we want to be able to help you as much as possible. Our offers are always updated on our website, or you can give us a call and ask about them in person.